There’s no way around it: Crete is the biggest and arguably the most beautiful island in Greece. Along with more space comes more tranquility, more history, more culture, more myths, more caves, more waves, more fun, and more luxury for your summer stays in the Aegean. 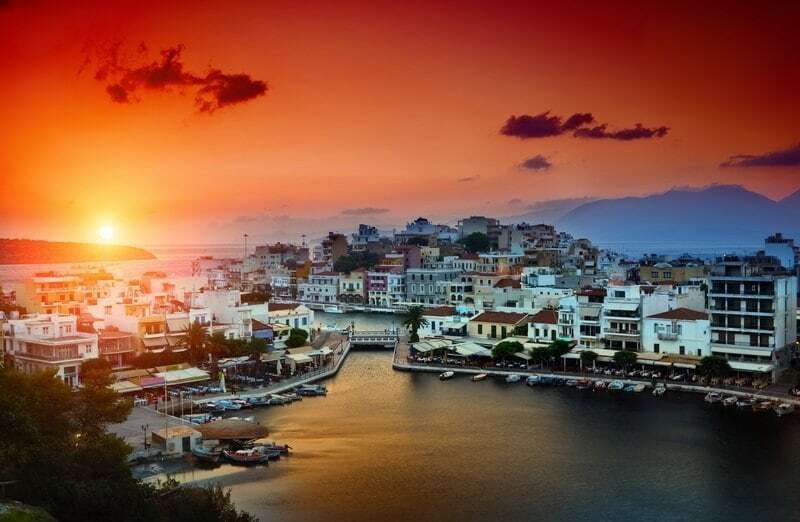 Acquiring a second home or vacation property on the island of Crete will grant you a freedom unlike any other. You’ll have the opportunity to become a regular member of the Cretan population (over half a million), and explore the island’s expansive and diverse beauty: 3, 219 m2 of land in the deep blue Aegean, comprised of mysterious castles and authentic villages in between high mountains, valleys, plateaus, caves, rivers, lakes, beaches, and gorges. Nature at its finest. Feel free to discover the rustic terrain, rich with history and culture, then return to the comfort of a luxury home. Whether it’s a beautiful Mediterranean-style residence with a veranda and sea view, an exceptional contemporary-design villa, or a unique seafront plot, BARNES Greece can help you carve out your own corner of paradise on the island of Crete. To stay well-connected, consider a modern-design secondary residence in Chania, a colorful city located on the northwest coast, with two distinct sides (the new and old city), a 16th-century lighthouse renowned for its Venetian, Egyptian, and Ottoman traces, not to mention the famous Agora Market. If you’re looking for an intimate summer holiday, then the small idyllic city of Rethymno might be for you. Situated on the northern coast, it boasts a beautiful fine-sand beach, a striking Venetian harbor, and an imposing fortress. To surround yourself with the mystical beauty of the past, the capital city of Heraklion is a living symbol of the ancient Minoan civilization, with its huge archaeological site, museums, centers for local art and culture. Here you can find a dazzling stone residential complex for sale, just a stroll away from the beach and a drive away from the famous Palace of Knossos, a must-visit. But for those with an adventurer’s soul, head east to discover high-end properties with unobstructed sea views in Lasithi. This region offers hiking (18 canyons), windsurfing, and diving in a relaxed urban environment. Tip: Don’t leave without checking out the sublime views from the vibrant town of Agios Nikolaos. Crete is an island known to please all the senses, which to a large extent can be attributed to the Cretan’s world-famous hospitality. Acquiring a summer property on Crete will allow you, your family and guests to vacation in a complete change of scenery, and never feel like a stranger. The island is highly spirited, inviting exploration at every turn. Choose from its variety of famous canyons and gorges: Samaria and its Iron Gates, the largest of gorges, Ha, the so-called “King of Cretan gorges,” Kamaraiko, the longest of canyons, and the Ideon Cave, the birthplace of Zeus. Or challenge yourself, and don’t choose at all. It’s inevitable, every explorer is bound to work up an enormous appetite. Good news is you’re in the right place for delicious Greek cuisine. The Cretan diet is respected around the world for its fresh salads and herbs, scrumptious fried snails, and tsikoudia, the local brandy. Even down to the basics, the island of Crete is a top producer of high-quality olive oil, fine wine, and graviera cheese. What a tasty trifecta! Contact BARNES Greece to buy, sell, or rent an exceptional property on the island of Crete.